The transmission of input signals is achieved by the frequency modulation technique. 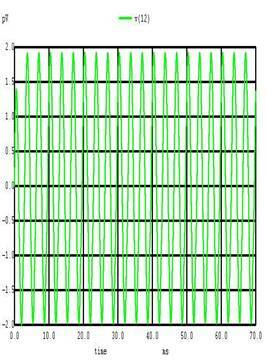 This report demonstration of use of Hartley Oscillator for the generation of carrier signal's frequency and a tarnsistor for the modulation of the signal. 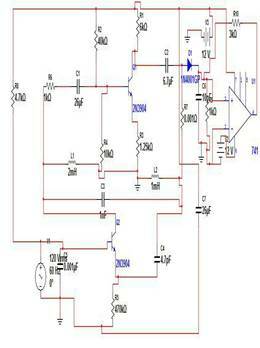 Original signal is obtained back by demodulating the modulated signal by using rectifier detector. In telecommunication, frequency modulation transmits information by changing the frequency of carrier wave according to the instantaneous frequency of the message signal. Carrier frequency is high compared to message frequency and it's range is in mega hertz to transmit and receive the FM signal. Digital data can be encoded and transmitted via FM by using one frequency for logic 1 and different frequency for logic 0. Generally, a microphone is used to accept the sound signals.Inside the mic capacitive sensor diaphragm vibrates according to the air pressure changes and genarates ac signals. The hartley oscillator is used to generate the carrier wave of frequency f.T he hartley oscillator consists of LC tank circuit. The input signal is fed to the base of the transistor which modulates the hartley oscillator's carrier frequency in a FM format. The variable capacitor is used to change the resonant frequency for fine adjustment of FM frequency band. The fm modulated signal is send to the antenna. 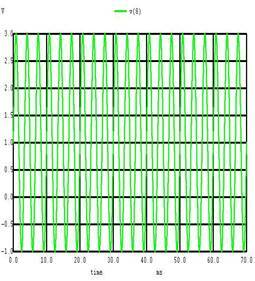 For demodulation of signal the FM modulated signal is first converted to AM modulated signal. The AM modulated signal is demodulated using rectifier detector.A rectifier detector consists of a diode and capacitor and a resistor in parallel. The demodulated signal is obtained and it is amplified. 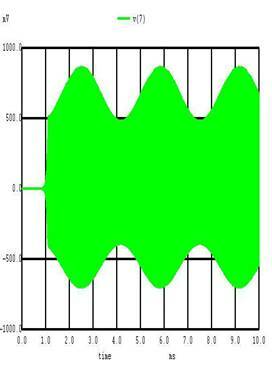 The demodulated signal is amplified using non-inverting op-amp.